If you’re running an e-commerce store, you really can’t ignore Instagram. Besides the obvious massive user count, Instagram’s visual nature makes it the ideal platform to promote physical products. For many e-commerce stores, it is their primary social channel. 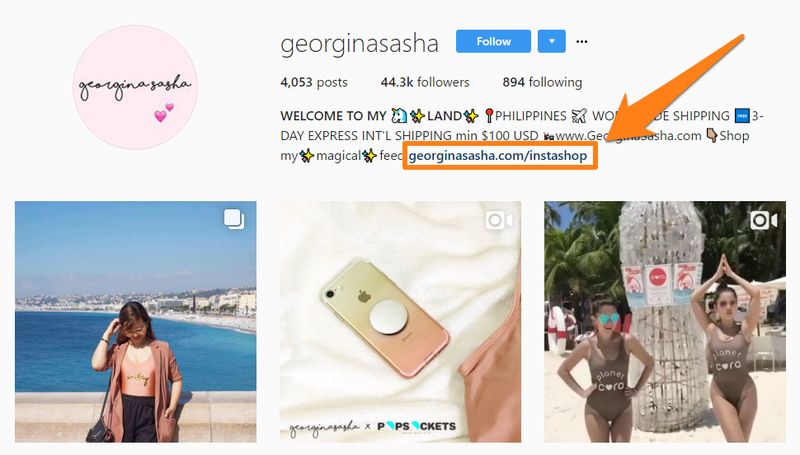 One of the most important characteristics of a successful e-commerce Instagram strategy is the profile bio. This is usually the first things users see when they land on your account. A strong bio can improve brand both brand perception and discoverability while driving more clicks to your CTA. 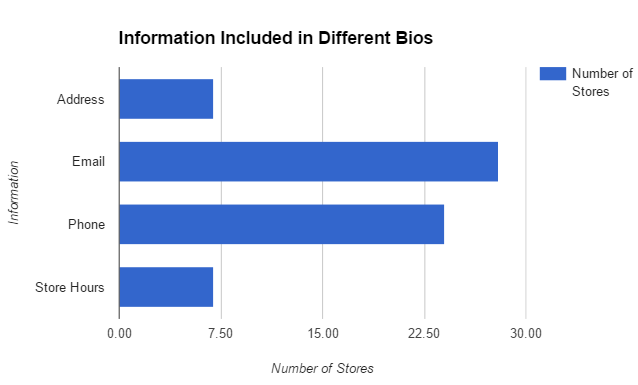 To figure out how to write a great Instagram bio, we analyzed 100 Instagram stores chosen at random. We studied what kind of CTAs, language, and information they used in their bios. By following the lead from these stores, you can change your store profile for better performance. We’ll show you what we learned below. We started by choosing 100 stores at random through the #onlinestore hashtag on Instagram. For better analysis, we ignored affiliate stores and individuals promoting another store’s products. The CTA — Call-to-Action — is arguably the most important part of any Instagram bio. This is what you want users to click on when they land on your page. Homepage: A link to the store’s homepage. This is less than ideal since it’s not very targeted. A user clicking in to see a product might get confused by the broad scope of the homepage. 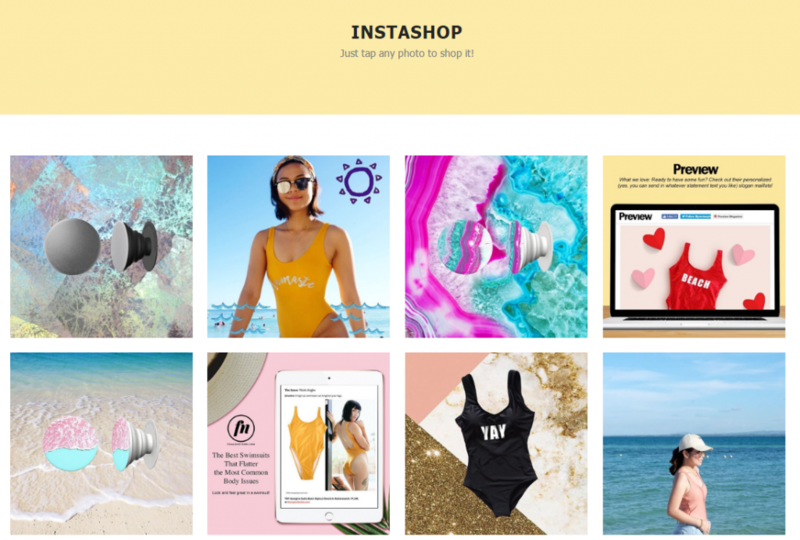 Landing Page: This can either be a dedicated landing page for Instagram-only users (like the ASOS As Seen on Instagram page), or an inner page directing users to a product or category (such as new arrivals). These work great for most stores. 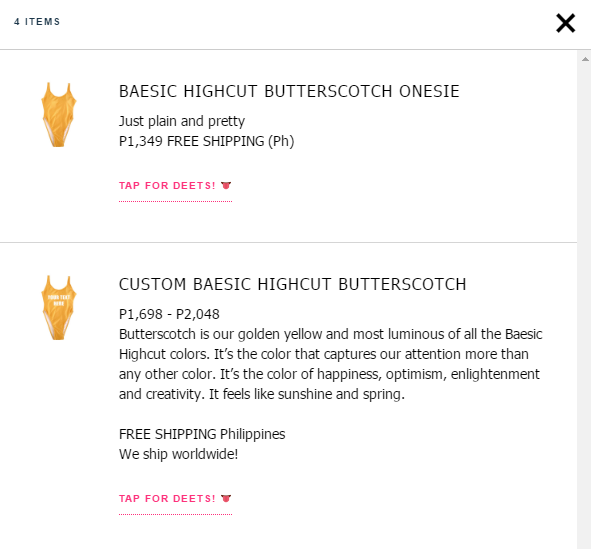 Social Shopping Page: This is usually a curated page with products featured on your Instagram page. Users can buy the products directly from this social shopping page. Our analysis showed that most stores are still not making proper use of CTAs. 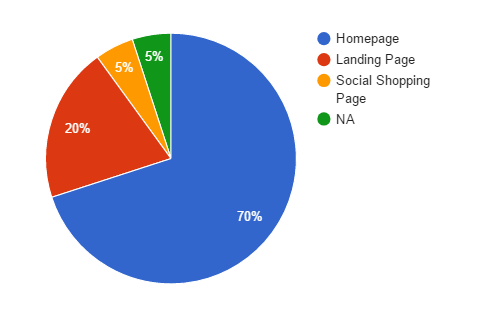 A majority of stores (70%) were directing users to their untargeted homepages. Very few were directing users to social shopping pages. If you’re linking to your homepage, at least ensure that you have a dedicated section for new arrivals and featured products. Make this the topmost section on the page so users can find your in-demand products easily. You can learn how to set featured products here. In our analysis, we found that the average profile length was about 143 characters. The median was 150 characters. Keep in mind that this length includes your CTA. At the other end of the spectrum are stores like @sorellaboutique which only include the CTA and a hashtag. Keep the profile length between 140-160 characters. This gives you enough room to include a CTA, key store information (email, phone, etc.) and some brand copy. Should you use an emoji in your Instagram bio? Does that mean there is no room for just plain fun with emojis? Of course not! Here’s an example from @thyrahshoppe. Notice the water splash, bikini and palm emojis next to the copy — endless summer. You have limited space in your profile bio; make the best use of it. 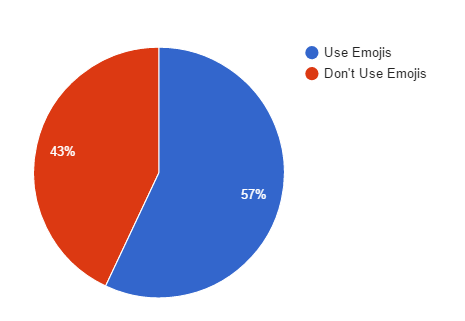 Use emojis sparingly. They work best when you use them to identify key store information — store location, hours, email and contact number. 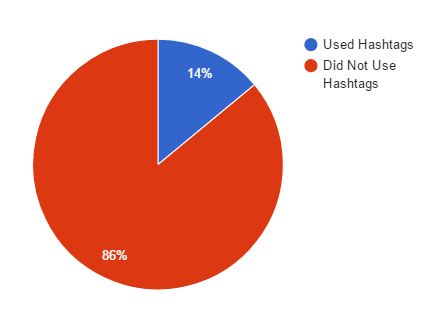 Generic: These are hashtags related to a keyword (such as #shoes), an event (such as #coachella), or an Instagram-specific trend (such as #picoftheday). Branded: Hashtags related to a brand, such as #ASOS, #cocacola, etc. Generic hashtags are generally good for increasing your discoverability. If you include the #picoftheday hashtag in your bio, for instance, your profile will be visible when someone searches for this hashtag. Branded hashtags are useful for curating posts. You can also use them to solicit UGC (User-Generated Content). Coke, for instance, recently ran a contest where users had to submit pictures with the #CokeEssenceFestContest hashtag. Should you include such hashtags in your bios? Clearly, hashtags aren’t particularly popular, at least in profile bios. Interestingly, out of the 14 stores that used hashtags, only one used a generic tag. The rest used branded hashtags. Hashtags aren’t necessary for a strong Instagram bio. But if you do use them, you should only use branded hashtags and pair them up with a UGC campaign. You can also use branded hashtags as a way to brand your store. For example, @shoploveyourz uses the #loveyourzcurves hashtag to promote body acceptance. If you don’t already have a UGC campaign, adding a hashtag would be a pointless waste of space. What kind of information should you include in your store bio — email, phone number, address or store hours? There’s a simple answer to this question: whatever is necessary. 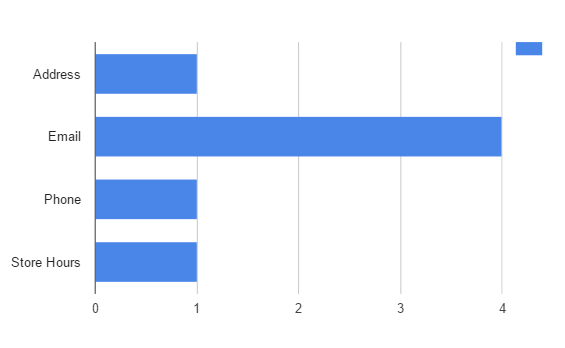 In our data, we saw a clear bias towards emails and phone numbers. This makes sense for online stores. They usually don’t have physical locations and thus, store hours. Email is a far better way to communicate and collect orders. Interestingly, many stores mentioned their Whatsapp when they included their phone numbers. This was particularly true for stores located outside the US and EU. When we looked at larger stores (>300,000 followers) we saw a clear preference for email over the phone. Larger stores get more orders. Tracking them over the phone can be difficult. There is no one-size-fits-all when it comes to key store information. Include whatever you feel is necessary to give your customers better service. Including email is a good idea. Add a phone number only if you can actually attend to customer queries (can be hard for understaffed retailers). And of course, a physical location/store hours are necessary only if you have physical stores. You can also include your Snapchat/Facebook account if that’s an important marketing channel for you. If space permits, add in your shipping information/policies as well. This is particularly useful if you’re targeting customers abroad. Including all this information will set your store apart from most on Instagram. You should see an increase in engagement and clicks once you make these changes. What are some of your own Instagram hacks? Let us know in the comments below!